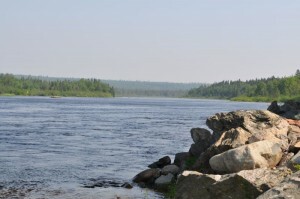 Over three hundred years ago, the Gander River served a primary waterway for Beothuk who fished and hunted in the region until displaced by Europeans. The Beothuk used canoes on the river to travel between the island’s interior and the coast. Salmon, known to the Beothuk as wasemook, were taken from the river and dried for later consumption. At the beginning of eighteenth century, the first Europeans to systematically fish for salmon on the Gander River arrived in Gander Bay. A commercial salmon fishery was established by the 1720s at the mouth of the river by George Skeffington of Bonavista, who was granted exclusive rights to fish the Gander River in 1723. While Skeffington sold his rights in 1729, commercial salmon industries on the river remained profitable through the eighteenth and nineteenth centuries. In the early 1840s, Gander Bay was reported to be one of the most important salmon fisheries for the colony. Settlement at the head of Gander Bay remained limited, with nets tended by men from nearby Fogo, Change Islands, and New World Islands. In 1842, British officer Sir Richard Henry Bonnycastle reported that salmon was taken from June to August using strake-nets placed at the mouths of rivers and in harbours and bays. The construction of the Newfoundland Railway and establishment of a station at Glenwood in 1892 allowed for permanent settlement further upriver from Gander Bay. The railway also opened up the island’s interior to tourism and the Gander River became internationally known for its wild Atlantic salmon. 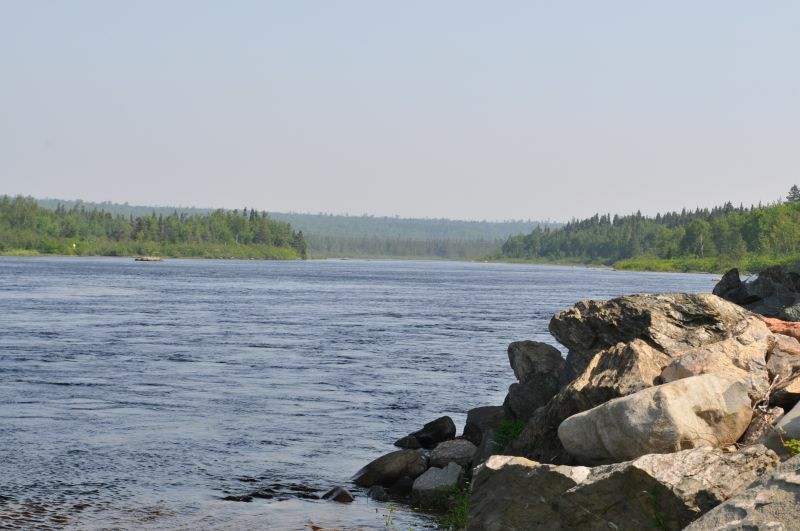 Today, outfitter lodges located on the Gander River offer tourists a wilderness retreat. Without road access, visitors must travel to remote lodges by plane or boat. Local guides, experienced with the river’s rapids and ponds, host anglers from all over the world. 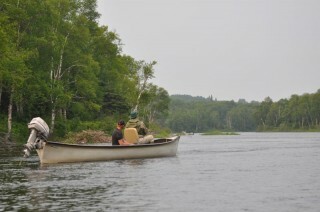 River guides navigate the shallow waters and quick currents in unique Gander River Boats, which have become as much part of the visitor’s experience as fishing for wild Atlantic salmon.